SUMMERTIME IN A BOTTLE – NEW BALSAMIC VINEGAR FLAVORS! As our product line of balsamic vinegars expands, it seems like customers still can’t get enough. Requests pour in for new flavors and kitchen ideas to experiment with. We are always inspired by anything happening in the garden. So this month, we pay homage to the honey bee and all those blackberry bushes just bursting with shiny, deep purple nuggets, with our new Honey Balsamic Vinegar, available at The Olive Oil Source Boutique and The Olive Oil Source Wholesale Store, and Blackberry Balsamic Vinegar also available at The Olive Oil Source Boutique and The Olive Oil Source Wholesale Store. One of our tricks to emulsifying extra virgin olive oil vinaigrette is to add just a touch of honey. 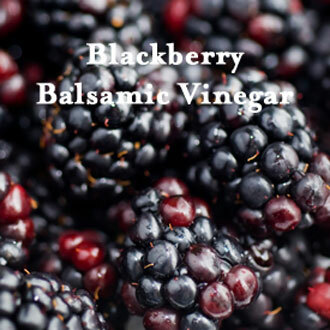 No need with this combination of the rich and syrupy Honey Balsamic and sharp, tart Blackberry Balsamic. It creates a blend that’s just right over a bowl of summer fruit or a salad of soft watercress and butter leaf lettuces. No peppery arugula for these delicate beauties. Another classy and simple appetizer option is to drizzle this combination over a fresh, milky goat cheese. And why wait for Thanksgiving to enjoy the sweet/tart flavor of cranberries? Our new Cranberry Balsamic Vinegar available at The Olive Oil Source Boutique and The Olive Oil Source Wholesale Store, will have you singing its praises all year long. Add a little orange juice to a summer vinaigrette and dress a salad of thinly sliced fennel, orange slices, dried cranberries and mixed greens. When it’s the right season for all those colorful beets, decorate a platter of “beet” carpaccio with paper thin slices of beets, red onion and feta cheese with a drizzle of the Cranberry Balsamic and extra virgin olive oil. We joined the ranks of the social-media savvy and launched our own Facebook page last month. If you haven’t already done so, LIKE US today so you can join in the conversation and be privy to our exclusive Facebook specials! We host contests, promotions and, true to our roots, conversations about “everything but the olive”. Tell us what you’re doing with EVOO this month, introduce us to your friends (they’ll be glad you did!) ask us a question, or just listen in. It’s always nice to make a new BFF.